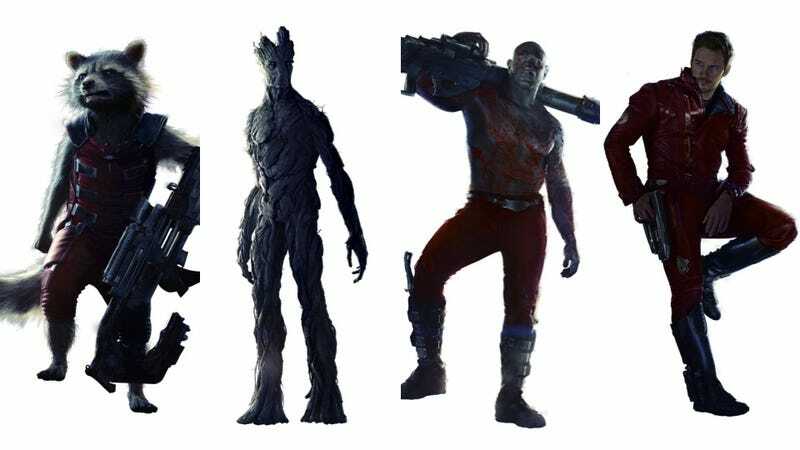 Feast your fantasy eyes on these gorgeous, high-resolution, cut-out shots of Marvel's Guardians of the Galaxy. Honestly, we're just excited to get a closer look at Gamora's pink ombre hair. This movie cannot come soon enough!